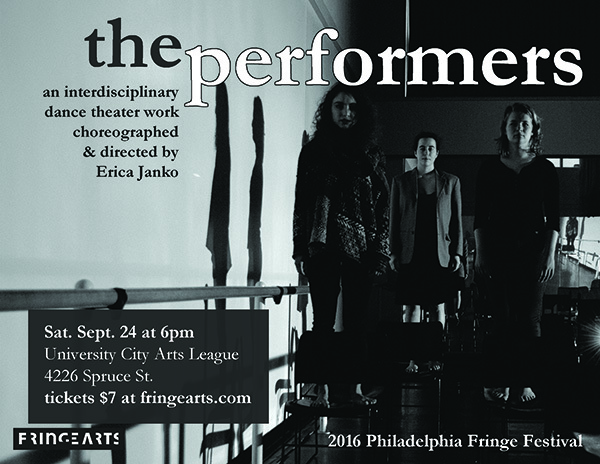 Erica Janko ’17 performs at 2016 Philly FringeArts! First rule of performing: no one knows what’s going on, but I know what I’m supposed to do. The performance is in progress. The performance is now. 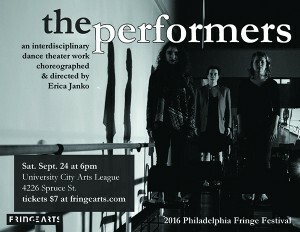 Includes movement, projection, discussion, and maybe even dancing. Live electronic music by Nirvaan Ranganathan. The performers will be there. Let’s see what happens. This entry was posted in Theater on September 8, 2016 by twebb1.